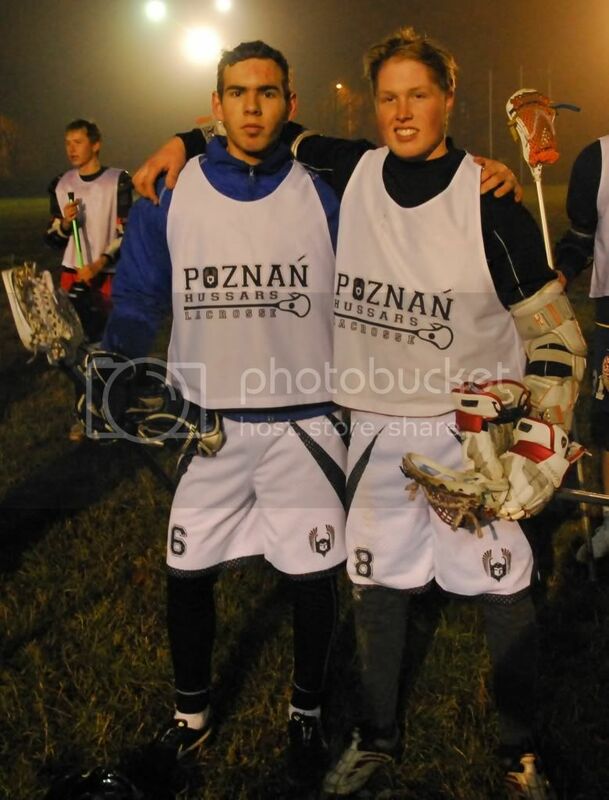 During the second November weekend, the city of Poznan transformed into the lacrosse capital of Poland. Not only Kosynierzy Wroclaw and Grom Warszawa but also our two friends from Sweden, Jimmy Blomgren and Christoffer Jansson, visited Poznan. 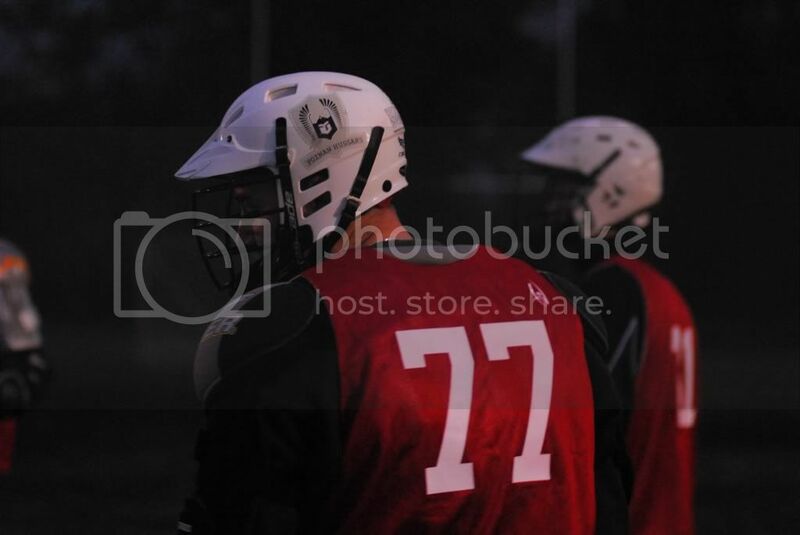 On the first day we played a scrimmage between Team Poland and the 'rest' of the World. We started at 4PM on the training grounds of Posnania Poznan. Despite unfavourable weather conditions the game was fierce and full of passion. After four quarters the score was 4:4. Even overtime didn't give us a winner. The score however wasn't the most important thing. The key was to practice tactical plays and to develop from individual players into a team! 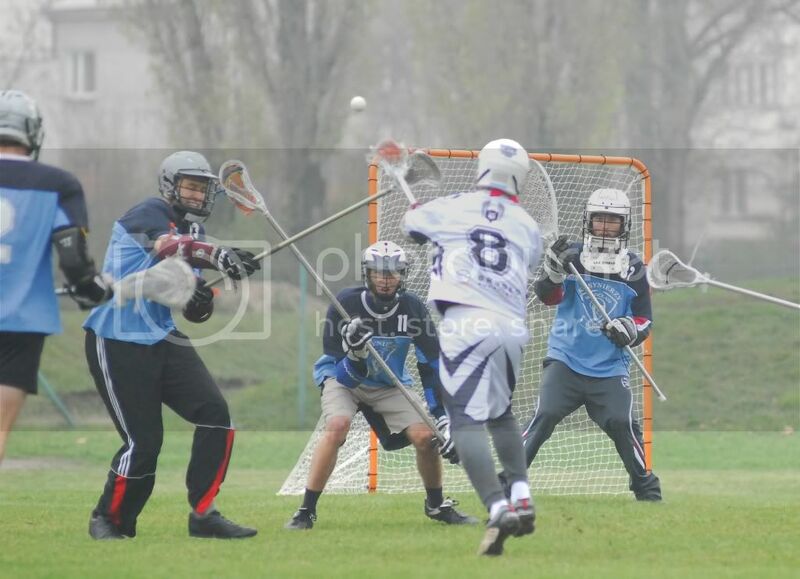 On Sunday (second day) there was a tournament with clubs from Poznan, Wroclaw and Warsaw. Two teams from Poznan participated in this tournament: Poznan Hussars and Poznan Hussars B (team which consisted of new players from the fall recruitment drive). In the first encounter Kosynierzy Wroclaw won with Grom Warsaw 6:0. 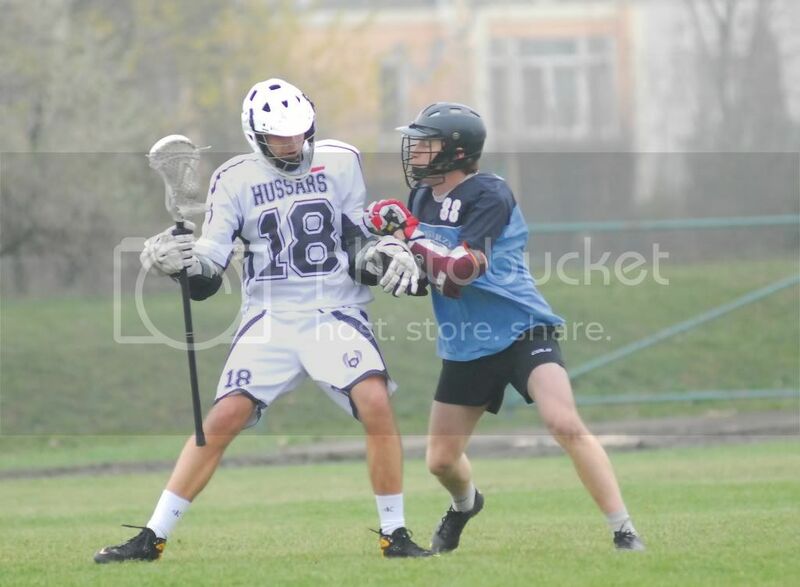 The rivalry between the Hussars and Kosynierzy goes back to the begining of lacrosse in Poland. Those two teams met in the second game. 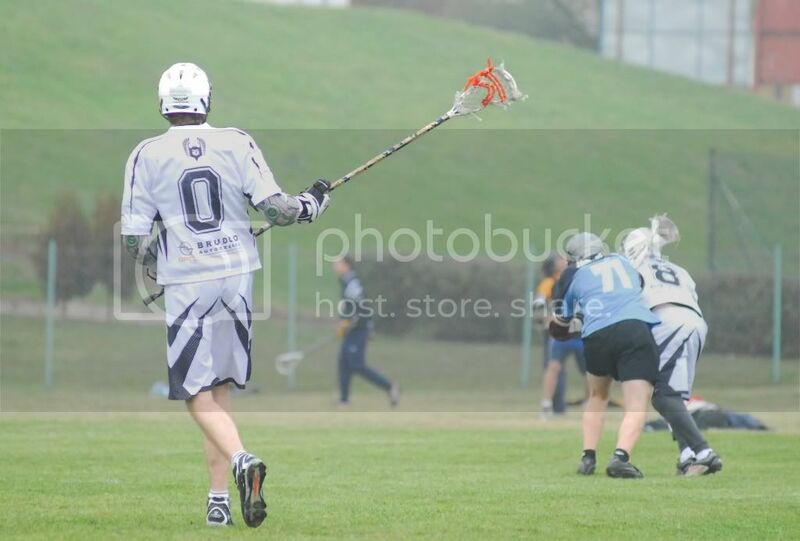 The first attack of the Wroclaw team gave the a lead of 1:0. It was their first and at the same time their last goal in this match. Playing a really good game, Poznan's defense was stopping Wroclaw's attacks, and the midfielders and attackmen did their job scoring 7 goals finishing the whole game 7:1 for the Poznan Hussars. Goals for Poznan: Jimmy Blomgren 4, one each for Paweł Hamrol, Jędrzej Bagiński and Błażej Piotrowski. In the third game our "freshmen" team Hussars B lost with Grom Warsaw. For our team it was a debut and for Warsaw their first win, they won 6:0. Despite the score it was a really good game for the Hussars B. You could see their committment and willingness to fight! The next game between the Hussars B and Kosynierzy ended with a score 5:0 for Wroclaw. The last game of the weekend between the Poznan Hussars and Grom Warsaw ended with a score 5:0 for the Hussars (scorers: Jimmy Blomgren, Paweł Hamrol, Jędrzej Bagiński and Michał Woźnica). We would like to thank all the players (special thanks to Jimmy and Chris) for coming and playing hard, all the fans cheering our teams, our photograper Marta and cameraman Arthur.